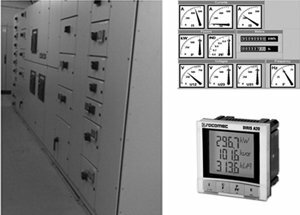 Powerpoint Engineering Ltd has the necessary in-house expertise and experience to design and install bespoke Power Quality and Energy Metering Systems. 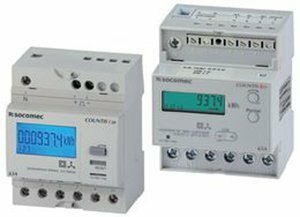 Contact us by phone on 057 866 2162 or email [email protected] to arrange your Metering System Design & Installation. 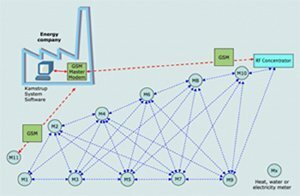 Performing load profile studies can provide a detailed footprint of the site load at a given time – however, the installation of an Energy Management System provides continuous measurements in the electrical network and detailed reporting on the site load. Electrical Network Monitoring Systems can also be installed for continuous monitoring of the site supply power quality. This is typically the first step towards achieving EN ISO 50001 Energy Management Systems Certification. Remote access support solutions are provided via Teamviewer, VPN, Logmein or other means. Our clients include universities, pharmaceutical & bio medical companies, the catering & hospitality sector and utilities sector. This is a synopsis of power quality case study regarding the installation of electrical energy meters, gas meters and water meters at a third level education institution. An ongoing contract with the tertiary education institution has seen the installation of a large number of electrical energy meters, gas meters and water meters which are all connected over the site LAN back to a central PC. The college had a requirement to assess the carbon footprint, energy usage and associated costs with the various buildings and supplied services throughout the entire campus.It was first decided to measure electricity, gas and water usage at the main supply points. Data logging and easy to use regular reporting software was required. Due to the size of the campus, there was a requirement to transmit the measure data via the college local area network. Powerpoint Engineering Ltd installed an energy metering system using Socomec Diris and Countis meters with Vision Control Software. This included electrical energy meters at the two main switchrooms, at each circuit on the main switchboards. Some existing water and gas meters were utilised where pulse outputs were available. Where gas and water meters did not exist, new meters were fitted and interfaced with the energy metering system.As energy readings were gathered, large load consumers could be identified. The buildings and estate office implemented adjustments to the building management system to make energy savings where possible. In other cases new technologies were installed, such as high efficiency lighting. The result of these works could be monitored using the energy metering system installed, justifying the investment and validating the payback periods.This lead to further extension of the metering system and further installations of new energy saving and energy efficiency plant. The metering system is currently monitoring in excess of 200 measurment points.